Starting and maintaining a positive daily morning routine is an investment and a way to do your best work everyday. It also gives you structure, building forward-moving habits, and creating momentum for the rest of the day. It helps you establish priorities, limit procrastination, keep track of your goals. Your brain is at it’s peak in the morning. And you can get your best work and tasks done without struggle. But distractions can the best of us. You get distracted and procrastinate. You make plans the previous day to get your most important task done first thing in the morning, but you don’t follow through on them. You are able to get things done… but not the right things. The human body operates on cycles called “ultradian rhythms.” According to research, during each of these cycles, there is a peak when we are most energized and a period when we are exhausted. You are most active in the morning. It pays to do your best work in whilst you have willpower and energy at its peak. The wisdom of poets, philosophers and emperors can help you start your day right. 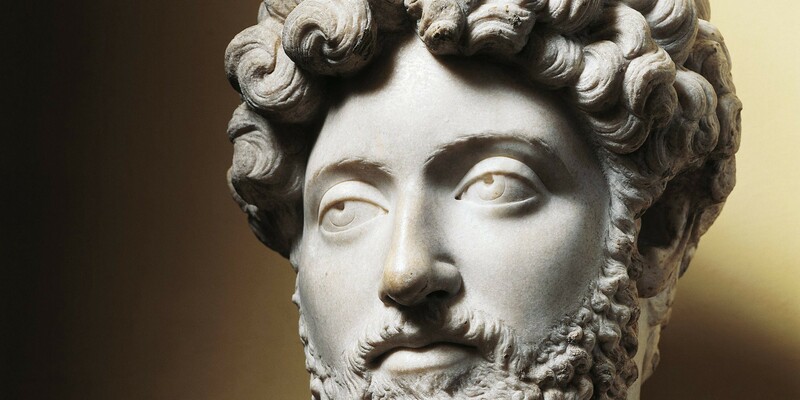 After two decades overseeing the Roman empire, Marcus Aurelius has important advice on making the most of the first half of your day and living life to the fullest every day. Marcus Aurelius was Roman Emperor from 161 to 180 AD. He was the last of the so-called Five Good Emperors. Marcus was a practitioner of Stoicism, and his untitled writing, commonly known as the Meditations, is the most significant source of the modern understanding of ancient Stoic philosophy. In Marcus’s world, everything has a purpose, from horses to humans. Man’s purpose, as a thinking being, is to clear his mind of junk and distraction— to rid himself of illusions. And focus on the the most important task that needs to be done everyday. It is not outside forces that make us feel anything, it is what we tell ourselves that create our feelings. You can choose to respond or ignore your distractions to get a great day. One thing you do is to take a few moments to develop a firm conviction that what you are doing first thing in the morning needs to be done and you cannot waste any time. Develop a firm resolve that you need to work now. Life happens when you are busy making other plans. You have the power to focus on what’s important to you. He recommends that you play your part in the interconnected whole. Every one has a part to play. Progress can only happen when each person has insane focus on the task at hand. Be upright, modest and straightforward. True wisdom and happiness is taking action on things that most matter to you. You make a small but impactful dent in your universe by taking meaningful action and not worrying about external opinions and moods. Understand what you can control and what you cannot. Work within your realm of control and influence. “Do everything as if it were the last thing you were doing in your life,” Marcus advises. If you approach every problem as if it’s the first and last important task that needs to be done, you will give it your all. Sometimes morning tasks are scary and you want to run away and procrastinate. So just pause for a second and think about the long-term meaningful goal. The current moment is all you have to make an impact your life and the lives of others. If your attention is engaged in what happened in the past or what might happen in the future, you lose out on the precious present moments. “The first thing to do — don’t get worked up… The next thing to do — consider carefully the task at hand for what it is, while remembering your purpose is to be a good human being” says Aurelius. Marcus’ technique of “self-talk,” can be an effective motivational strategy to help you start your day right. Keep that in mind the next time you need a boost to start your day. Without a philosophy to guide our work and life, we will relentlessly succumb to our excuses and distractions. What works best for you when you start your day? If you enjoyed this post, you will love Postanly Weekly. It’s my FREE weekly digest of the best science-based productivity, and self improvement posts from around the web. And my best posts of the week. Join 9000+ readers!